Did you know that even a bowlful of 'healthy'breakfast cereals could add to your calorie count? Doctors, for sometime now, have debated on the permissible level of sugar in breakfast cereals, especially of the coloured and sugar-frosted varieties. While it is advisable to check the nutrition value of the breakfast cereal before buying it, one should also consciously make healthier lifestyle choices by having all cereals with skimmed or semi-skimmed milk, and avoiding to add extra sugar among others, but if you still like a bit of sweetness in your breakfast substitute white sugar with fruits (even dry fruits) like banana, dates, raisins, or any citrus fruit. A wholesome breakfast it would make for, while staving off your urge for midday snacking. Even those maintaining a workout routine can derive maximum benefit from this habit, as it also helps them get past their weight loss plateau. Medical doctor and wellness expert, Dr Shikha Sharma helps us list breakfast cereals that are healthier than the rest. Porridge is the most healthybreakfast idea. It is rich in minerals and has high fibre content that keeps blood sugar under control. Use a little jaggery if you wish to sweeten it, otherwise you can top it with fresh fruits or sprinkle some raisins and almonds. Abundant in carbohydrates, iron and Vitamin B complex, cornflakes work very well for school kids and elders too. It is a particularly good breakfast in the rainy months because the body starts holding water owing to high moisture in the air. It is a modification of wheat porridge and is a nice change from run-of-the-mill breakfast cereals. But unless fortified with extra calcium, it is not much use having just wheat flakes for breakfast. A bowl of oats in the morning is great for those sufferinghigh cholesterol and diabetes, provided you don't add extra sugar to it. The high fibre content in oats balances the blood sugar, and relieves people prone to depression. Muesli is a great breakfast choice as it has raisins, almonds and four different grains. The comparatively high sugar content in muesli keeps growing children and those into sports, energetic. It can be served with both milk and yoghurt. You can creatively garnish the muesli and serve it up as a quick evening snack to kids. The poha version of rice crispies is popular in Indian households, and makes for a light and healthy breakfast. But make sure your poha is only lightly sauteed. Aside from the usual cornflakes and oats, there is a whole assortment of chocolate, honey and fruit-flavoured breakfast cereals that find takers among young kids. Just how good or bad an idea is it? Avers Dr Sharma, "Although it is best to go for natural cereals, it is alright to break free from the mundane breakfast chart once in a while. The purpose is to serve up a good mix that is both appealing to the taste buds and has nutritional value." Next time you are at the departmental store picking breakfast cereals, don't get carried away by the glossy packaging. You cannot rush to a spa, beauty salon, or trichoilogist to fix recurring bad hair days every single day. Instead, your kitchen is full of ingredients that will make your tresses silky smooth, strong and beautiful. The bonus: Unlike professional hair treatments, these common kitchen ingredients don't cost a fortune! So rush to your kitchen cabinets and refrigerators, and follow these 20 tips to get your hair sorted forever! Take half a cup of 'amla' powder, add to it two tablespoons of castor oil and one full egg and make into a smooth mixture. Apply on the hair and the scalp, leave on for about 30 minutes before shampooing. For women with dry hair, use of a conditioner is a must at all times. Take half a cup of multani mitti and make a mixture with two tablespoons of coconut oil and the egg yolk. Apply this mixture well on the entire scalp, leave on for about half an hour and shampoo well. Make a mixture out of one cup of henna powder to which one tablespoon of lime juice has been added and mix into it the white of an egg. If the egg smell puts you off, use curd instead of the white of an egg. Apply this mixture to the hair, leave on for approximately half an hour and then shampoo. A point to note is that this pack will not colour your hair despite the dying quality of henna being an ingredient. Massage the scalp using hot coconut oil. You can either use coconut oil or olive oil for best results. For a protein packed conditioner, mix eggs and yogurt and rub it into your scalp. Leave on for five or 10 minutes, and then wash it off completely. You can wash hair with a paste made from Neem leaves. This is particularly effective for hair loss caused due to excessive build up of scalp oil or invasive skin infections. Do not wash your hair in hot water as it can increase the dryness of the scalp, resulting in flaking and scaling of the skin of the scalp. Use lukewarm water instead and shampoo haironly once or twice a week. You can make your own hair fall-preventing medicine at home by frying some fenugreek (methi) seeds in coconut oil. Strain this mixture and apply it in minimal amounts, rubbed gently into the hair roots. Alternatively, you can boil some henna leaves in mustard oil. After cooling and straining this preparation, add drops of it in your coconut oil container that you are using for regular massaging. Olive Oil is great for conditioning and shine. Honey can also be combined with Olive Oil on hair to make the results that much more effective. All you need is a small cup of olive oil. Use your hands to rub it in the ends and the mid length of your hair, shampoo after two hours. Add 1 teaspoon of camphor to half a cup of coconut or neem oil. Store it in glass container. Massage this oil into the scalp before bed. You can also mix 1 teaspoon of castor, mustard and coconut oil each and massage into the scalp. Before washing your hair, apply the juice extracted from crushed coriander (dhania) leaves. You can also use a mixture of curd and gram flour (chana atta) that should be kept-on for at least an hour before bathing. Use a shampoo and a separate hair conditioner. And leave the conditioner on the tip of the hair avoiding the roots for at least 10 to 15 minutes to moisturise the hair and prevent hair fall. Extract some aloe vera gel and mix it with honey. Apply this on scalp and leave it for twenty minutes. Regular use of some simple hair packs will provide the much-needed protection and also add sheen to your hair in your busy festive activities. Always remember to condition your hair as per hair type. Apply 1/2 cup of mayonnaise to your dry hair, work in really well, cover your head with a plastic wrap, and let it set for about 15 minutes.works best for damged hair. Jojoba oil should be applied mainly to the ends to make it softer. This home remedy can work wonders with frizzy and dry locks. Another way is to mix one part of lemon juice with two parts of coconut oil. Massage into the roots of the hair regularly. Wash with warm water after three to four hours or leave overnight. Massaging the hair roots with freshly extracted coconut milk is beneficial in treating hair loss. It should be left on for 15 to 20 minutes and rinsed off. You could follow up with a shampoo and condition. For itchy scalp, add 1 teaspoon of camphor to half a cup of coconut oil and store it in glass container.Massage this oil into the scalp before bed. Those having oily hair will need to shampoo their hair very often and hence should make sure that even the mild shampoo used is diluted further. For the last rinse, using white vinegar mixed with water in equal proportions also helps to reduce the oiliness. I have a problem: I want to be a vegetarian. “So what’s the problem?” you might ask. I am half German and Germans tend to eat meat, a lot of meat. Not without reason; every major city from Frankfurt to Nürnberg has a sausage named after itself. But why bother at all? First of all, there are health reasons. Red meat has a lot of saturated fats, cholesterol and purine; it lacks vitamins (except B-complex), and is likely to have antibiotics and steroids. However, more important for me to overcome my German-ness, is the fact that meat consumption is taking a tremendous toll on our environment - whether it is the amount of vegetables, fossil fuels, or water which are required to produce meat and which could be redistributed to the hungry. Then there is methane emission of cattle. Closely linked to these factors is also the rising cost of meat. As a student of philosophy, to me the issue is a moral one too. Can we defend meat consumption? Perhaps for survival? Except for those few living in non-arable areas, no one is depending on meat for survival today. This thinking leads us to irresponsible “speciesism”, as the most eminent philosophical proponent of vegetarianism, as Peter Singer, called it. Exalting the status of the human animal and his rights above other animals stands in line with western philosophical thought, which defined men as being human because of rationality and virtue, in contrast to the negative, irrational part in us, our so-called animalistic side. Not only did this cause discrimination against and suffering of a plethora of other species, biologists like Frans de Waal revealed that parts of our so called humane side, such as morality, find their origin within animals, who bequeathed us these capabilities to refine them. If one argues that one is allowed to devour someone else, because of one’s superior intelligence, then would it apply to those within the species as well? Is it then a question of whose life is worthier than another and for what reason? How does one decide the value of one life over that of another? One can well imagine a sci-fi scenario where aliens with an IQ that far surpasses our self-destructive intelligence could come to earth and start hunting us humans down as food for their survival, only because we have inferior intellects compared to theirs and also because we are not the same species. Lastly, intertwined with the moral argument, is the spiritual argument. Many Hindus, Jains and Buddhists refrain from eating meat due to the principle of ahimsa or non-violence and since it has negative impact on spiritual development. Or why else would have every elated soul from M K Gandhi to Guru Nanak Dev abstain from eating meat? Through meat consumption we ingest negative energy, as we absorb the fear and agony of the dying animal, so the argument goes. Hard-line vegetarians may find this logical and consequently claim that meat enhances aggression. Although there may be correlations between nutrition and aggression, it is still disputed among scientists whether this is the case with meat. Eventually, there is no argument vindicating a human carnivore, whether he is so on account of social habit, or, as in my case, akrasia (weak will), as the Greeks called it. The winter may be that gorgeous season of breathtaking foggy mornings and chilly evenings. While cozy woollen clothes can protect your skin from this dry weather, they do nothing for your hair. If you have dry hair, this weather can further turn them brittle, lead to excessive dandruff and render them looking dull and lacklustre! So if you want moisturised, healthy hair this winter, follow these hair care tips by Najeeb Ur Rehman, National Technical Head, Schwarzkopf Professional India. 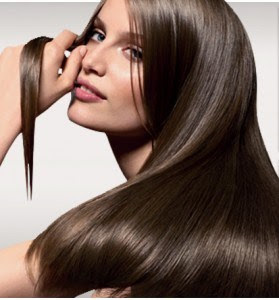 Avoid over-washing your hair: During winters, wash your hair periodically. Always use a dry hair protective shampoo and conditioner. Treat your hair to a cure: At least once a week, pamper your hair with a treatment that will provide them with a lot of moisture and seal the hair surface with conditioning oils. Stay away from hot irons: Hair straighteners and curlers and the hot air from hair dryers are hard on hair and rid it of all its moisture. Never heat-style your hair, without the benefit of hair protection (a serum). In winters, air-dry your hair as often as possible. Get regular scalp massages: Scalp massages improve the blood flow to the scalp and stimulate the sebum secretion. 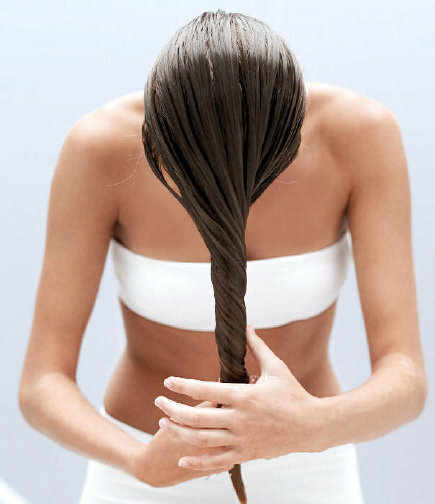 Don't wash your hair with hot water: Washing hair with excessively hot water strips it of all its natural substances. Set the water temperature between tepid and moderately warm. As a finishing touch, rinse the longer part of your hair with cool water. This will make your hair smooth and shiny. Avoid alcohol-containing products: Try not to style your hair with hair sprays, foam setting products, gels and other products that contain alcohol, as they have a tendency to dry out your hair. Take good care of your hair accessories: Inspect your hair care tools regularly. Haphazardly manufactured combs and brushes will damage the scalp and further disturb the natural smooth surface of hair. In an age where nutrition is increasingly seen as an appendage to daily living, we tend to lose out on various vitamins and minerals. For instance, most of us believe that milk only provides calcium and is only meant for children. But did you know that, no matter the age, we can always benefit from skimmed or low-fat milk varieties. And when picking which milk to drink, there is lots of choice today. Today we're looking at the different types of milk available in grocery stores and their health benefits. Coconut milk is a common ingredient in South Indian cooking that makes the curry rich and delicious. What are the health benefits of coconut milk? Coconuts provide vitamins, minerals and fibers that prevent diseases like gallbladder stones and liver diseases, inflammation and skin diseases, to name a few. If you want proteins, coconut milk is a good source. It also provides iron, selenium, sodium, calcium, magnesium, phosphorus and potassium, vitamins: C, E, B1, B3, B5 and B6. Surprisingly coconut milk is far richer in calcium than regular milk. Rest assured that coconut milk also supports the immune system, helps in weight loss and is great for digestion. Almonds are a great snack if you are fasting or if you simply want a potent healthy snack to keep you full for longer. Some dishes also use almonds as garnish and it is an excellent medium in desserts. What are the health benefits of almond milk? Almond milk, just like coconut milk, is a great alternative for vegans. Almond milk is a good source for proteins; it is also low in calories unlike cow's milk. This milk contains vitamin E, magnesium, monounsaturated fats, manganese, copper and ribloflavin. Boost your energy and lower heart diseases with almond milk. This is the most commonly used milk in India. Cow's milk is also used to make enticing Indian sweets or mithias. What are the health benefits of cow's milk? If you have calcium deficiency, you will be told to drink cow's milk. This milk contains fats, minerals and vitamins like vitamin D, proteins, vitamin B, potassium, iodine and it is a good substitute to Omega 3. Cow's milk is not fattening but it should be complimented with a healthy diet. Besides strengthening the bones with calcium, cow's milk is known to control blood pressure as it contains potassium, iodine promote thyroid function and prevents gout. Most Indians may not use goat's milk, but high up in the hilly regions of northern Indian, goat's milk is widely used. But the buck does not stop there, globalisation and India's love for Italian food has seen an increase in the import of goat cheese. What are the health benefits of goat's milk? The secret lies in the high presence of iron, calcium, phosphorus and magnesium. Apparently goat's milk has less fat, builds your immune system, and reduces anti - inflammation of the bowel. We maybe accustomed to cow's milk, but did you know goat's milk is better than cow's milk? 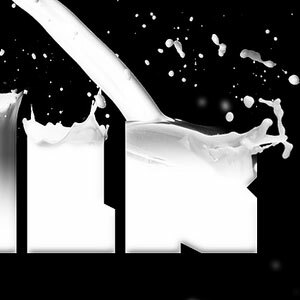 Consuming raw milk is a trend that promotes the importance of organic food. But is it a wise choice? What are the health benefits of raw milk? The debate still continues on the health benefits of raw milk over pasteurised milk. Raw milk contains proteins, carbohydrates, fats, vitamins and minerals, but scientists do not believe the claims of health benefits of raw milk. There are healthy bacteria in raw milk; some say that pasteurised milk kills these microbes, but scientists believe it's all for a good cause. - Pasteurization DOES NOT reduce milk's nutritional value. - Pasteurization DOES kill harmful bacteria. - Pasteurization DOES save lives. This is a common substitute for those who are lactose intolerant or vegetarian. Soy milk also comes under probiotic food choice. What are the health benefits of soy milk? Soy milk contains fatty acids, proteins, fiber, vitamins and minerals that are beneficial for the smooth functioning of our body. You can count on soy milk to improve good cholesterol and help in weight loss; the omega 3 and 6 in soy milk strengthens the blood vessels, claims to prevent prostrate cancer, osteoporosis and postmenopausal syndrome. Soy milk is easily available in large departmental stores. May not be a common ingredient in milk, but flavoured milk is always refreshing on a hot day. Cardamom milk is healthier than having flavoured milk like chocolate and strawberry. What are the health benefits of cardamom milk? Cardamom contains potassium, calcium, riboflavin, niacin, vitamin-C and magnesium. It is also used as an antiseptic, antispasmodic, carminative, digestive, diuretic, expectorant, stimulant, stomachic and tonic. These are the traditional uses of cardamom. It is very easy. Just like turmeric milk, immerse two or three pods in your milk and heat. The World Health Organization defines overweight and obesity as abnormal or excessive fat accumulation that may impair health. The most common health consequence of being overweight or obese is cardiovascular disease — mainly heart disease and stroke. The more overweight a person is the more likely he/she is to develop heart disease. Increased weight is a determinant of higher levels of triglycerides, elevated LDL (commonly known as bad cholesterol) and low HDL (commonly known as good cholesterol). The good news, however, is that even a slight reduction in weight (5- 10 per cent) can reduce a person's risk of heart disease. Healthier food choices and increased physical activity are the easiest ways to reduce weight and the risk of heart disease. Fruits and vegetables - They are a great source of fibre, that helps increase satiety and reduce cholesterol levels. Choose brightly coloured fruits and vegetables like carrots, tomatoes, spinach, bell peppers, berries, oranges, papaya, etc. as they are rich in antioxidants. Whole grains - Include whole wheat and multigrain products like whole wheat breads, rotis, pasta, brown rice, oats, ragi, jowar, bajra and quinoa. Legumes - Sprouts, kidney beans, chickpeas, etc. are a great source of soluble fibre, which helps reduce cholesterol. Nuts and seeds - Almonds, walnuts, pumpkin seeds and sunflower seeds are great source of omega-3 fatty acids, which can help decrease bad cholesterol and increase good cholesterol. Flaxseeds - A great source of omega-3 fatty acids and fibre, a sprinkle of this on one's breakfast cereal can help improve cholesterol profile. Low fat dairy products - Low fat milk, yoghurt, homemade paneer are excellent sources of calcium and also help in reducing body fat. Fatty fish - Especially Salmon and tuna, contain omega-3 fatty acids that help increase good cholesterol. Soya and soya products - Soya contains isoflavones, which help prevent clogging of arteries and improve cholesterol profile. Tea - Green tea especially helps lower total cholesterol and increase good cholesterol. Physical Activity - Include a minimum of 30 to 45 minutes of moderate physical activity daily - brisk walking, jogging, swimming, cycling etc to increase energy expenditure and therefore help in weight reduction. Refined cereals - Maida, white breads, pasta should be cut out from one's diet completely and replaced with whole grain or multigrain varieties. Saturated fatty acids - Avoid intake of full cream dairy products like whole milk, cheese, yoghurt, butter, cream and coconut as they increase levels of bad cholesterol. Processed and packaged foods - Avoid biscuits, chips, cakes and pastries as they contain high levels of saturated and trans-fatty acids, in addition to higher content of sodium. Fatty meats - Avoid intake of fatty meats like mutton and beef, have skinless chicken and fish instead. Fried and deep fried foods - Avoid junk foods like pizzas, burgers, fries and other deep-fried snacks. Deep fried foods contain trans-fats, which increases one's risk of arthrosclerosis clogging of arteries. Smoking - Smoking is a major cause of atherosclerosis — a buildup of fatty substances in the arteries, which could lead to angina pectoris or heart attacks. In a nutshell, reducing intake of calories, especially calories from fats, regular physical activity together with the inclusion of heart healthy foods can help to reduce weight and eventually the risk of developing heart disease. Feel envious of those with smooth silky hair when your own curly mop turns into a frizzy, unruly mess? Well, there's hope. Curly hair requires more care and attention than straight hair but at the end of the day, it will all be worth it; shiny, natural curls can look as good, or even better than dead straight locks, when set properly. Frizz on the hair is an indication that the hair lacks moisture and oil content. The reasons could be many, from a dry climate, chemical treatments, excessive blow-drying, over-exposure to the sun, lack of proper water intake/nutrition, even stress. A quick solution would be generous use of hair serum but serum only coats the hair and is of no use in the long term. But no, you don't have to spend thousands on high-end products or hair spas for healthy, moisturised hair. The best answer is right under our noses, which is totally free of side-effects, chemical free and inexpensive - coconut oil. Unlike mineral oils, coconut oil penetrates the hair shaft and replaces natural moisture in the hair. "The benefits of coconut oil for the scalp and hair have been mentioned in ancient ayurveda as well," says Dr Sureshkumar, an ayurveda doctor. "It also has a cooling effect." Give your hair a hot oil massage and leave it on for at least an hour. Follow with a mild shampoo but do not blow dry. An additional tip would be to comb your hair with a wide toothed comb before it dries. Coconut milk is also a good alternative but again, it takes a bit more of effort. Grind a coconut in a blender. Add lemon juice to this and refrigerate. After a while a layer of cream will form on the top. Apply this to your hair and cover the head with a hot towel. Wash off with shampoo after an hour. This concoction is even said to relax tight curls and make them more manageable. Do any of these treatments once a week and you are assured of frizz-free, healthy curls! SHARE THIS INFORMATION FIRST AND READ AFTERWARDS.....SAVE LIFE Share this as much as you can. "10000 times stronger killer of CANCER than Chemo".. do share it.. can save many lives, fill up hopes and build confidence in the patients...The Sour Sop or the fruit from the graviola tree is a miraculous natural cancer cell killer 10,000 times stronger than Chemo.Why are we not aware of this? Its because some big corporation want to make back their money spent on years of research by trying to make a synthetic version of it for sale. So, since you know it now you can help a friend in need by letting him know or just drink some sour sop juice yourself as prevention from time to time. The taste is not bad after all. It’s completely natural and definitely has no side effects. If you have the space, plant one in your garden. The other parts of the tree are also useful. The next time you have a fruit juice, ask for a sour sop. How many people died in vain while this billion-dollar drug maker concealed the secret of the miraculous Graviola tree? This tree is low and is called graviola ! 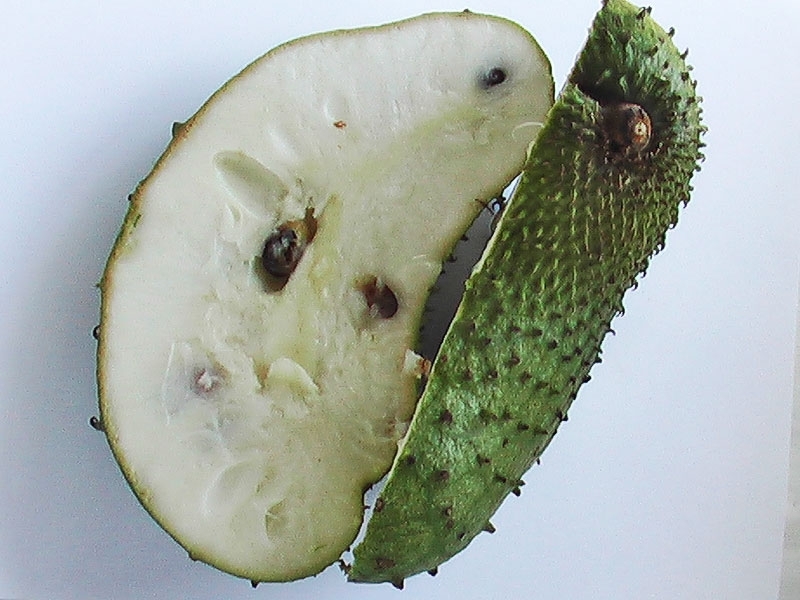 in Brazi l, guanabana in Spanish and has the uninspiring name “soursop” in English. The fruit is very large and the subacid sweet white pulp is eaten out of hand or, more commonly, used to make fruit drinks, sherbets and such. The principal interest in this plant is because of its strong anti-cancer effects. Although it is effective for a number of medical conditions, it is its anti tumor effect that is of most interest. This plant is a proven cancer remedy for cancers of all types. If there ever was a single example that makes it dramatically clear why the existence of Health Sciences Institute is so vital to Americans like you, it’s the incredible story behind the Graviola tree.. The truth is stunningly simple: Deep within the Amazon Rainforest grows a tree that could literally revolutionize what you, your doctor, and the rest of the world thinks about cancer treatment and chances of survival. The future has never looked more promising. * Effectively target and kill malignant cells in 12 types of cancer, including colon, breast, prostate, lung and pancreatic cancer..
down and kills only cancer cells.. It does not harm healthy cells! One of America ‘s biggest billion-dollar drug makers began a search for a cancer cure and their research centered on Graviola, a legendary healing tree from the Amazon Rainforest. Various parts of the Graviola tree–including the bark, leaves, roots, fruit and fruit-seeds–have been used for centuries by medicine men and native Indi! ans in S outh America to treat heart disease, asthma, liver problems and arthritis. Going on very little documented scientific evidence, the company poured money and resources into testing the tree’s anti-cancerous properties–and were shocked by the results. Graviola proved itself to be a cancer-killing dynamo. But that’s where the Graviola story nearly ended. The company had one huge problem with the Graviola tree–it’s completely natural, and so, under federal law, not patentable. There’s no way to make serious profits from it. It turns out the drug company invested nearly seven years trying to synthesize two of the Graviola tree’s most powerful anti-cancer ingredients. If they could isolate and produce man-made clones of what makes the Graviola so potent, they’d be able to patent it and make their money back. Alas, they hit a brick wall. The original simply could not be replicated. There was no way the company could protect its profits–or even make back the millions it poured into research. Luckily, however, there was one scientist from the Graviola research team whose conscience wouldn’t let him see such atrocity committed. Risking his career, he contacted a company that’s dedicated to harvesting medical plants from the Amazon Rainforest and blew the whistle. When researchers at the Health Sciences Institute were alerted to the news of Graviola,! they be gan tracking the research done on the cancer-killing tree. Evidence of the astounding effectiveness of Graviola–and its shocking cover-up–came in fast and furious…. ….Since 1976, Graviola has proven to be an immensely potent cancer killer in 20 independent laboratory tests, yet no double-blind clinical trials–the typical benchmark mainstream doctors and journals use to judge a treatment’s value–were ever initiated…. ….The most significant part of the Catholic University of South Korea report is that Graviola was shown to selectively target the cancer cells, leaving healthy cells untouched. Unlike chemotherapy, which indiscriminately targets all actively reproducing cells (such as stomach and hair cells), causing the often devastating side effects of nausea and hair loss in cancer patients. …A study at Purdue University recently found that leaves from the Graviola tree killed cancer cells among six human cell lines and were especially effective against prostate, pancreatic and lung cancers Seven years of silence broken–it’s finally here!